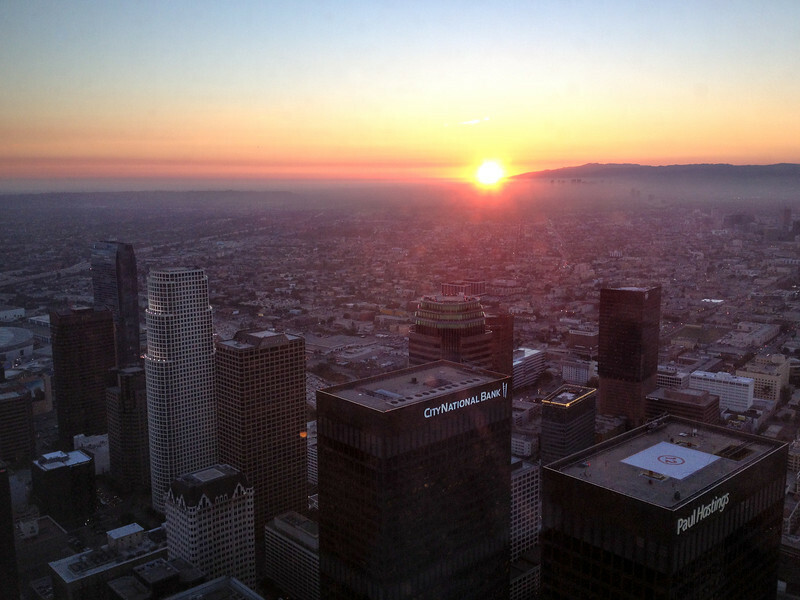 This photo was taken from the 72nd floor of the US Bank building in downtown Los Angeles, were me and thousands of other stair climbers gathered after making it all the way to the top - 75 stories, 1005 feet, and 1679 steps above the city below. It's the tallest building west of the MIssissippi and I feel very accomplished to get to the top! The event is a fundraiser for the YMCA - www.ymcastairclimb.org - and my team from work raised over $1k for them, so that's cool. I'm very happy that I kept a good pace and don't feel particularly worn out, and in general it wasn't as difficult as I had feared. I was a tiny bit disappointed that we weren't allowed on the helipad like the alien-loving hippies in Independence Day that get blown up, but I'll survive. Overall I had a great time and am excited to do it again next year.